Businesses that are talkers tend to focus on their brand, staff, and product. They talk about what they did, what they are doing, and what they are planning to do. The talk is about who they are and what they want to achieve. Talking about these things is not the worst thing in the world. The disappointment only starts when you expect such content to lead to high/growing conversions. High-converting, self-absorbed content is rare. The best result-driven content is created by listening to your customers first. When you start listening to what the customer is saying, you will be able to create content consistently that they both need and love. If you want an effective content marketing strategy that revolves around listening, you should start with a customer FAQ brainstorming session. Sit down and make a list of frequently asked questions that your teams (most likely the sales and customer support) receives. This brainstorming sessions will help you generate a large number of initial topic ideas. If this is your firs time considering your customer FAQs as potential blog topic ideas I hope you are already seeing how these topics can not only attract new customers but also serve existing and prospective customers as well. Now that you have your FAQs here are some other techniques to expand and fine tune this list. Social listening will help you make smarter decisions about your customers needs. You will gain insights about what customer are looking for, which can be used to attract like-minded individuals and boost business. Customers often use social media platforms to publicly ask questions to a wide audience. Reading relevant questions to your product or service, therefore, will give you a very good idea of what they want to know. Blog topics that are based on these questions are almost certain to appeal to customers. As well as listening to your customers and answering their questions, share their stories in the process. People love reading about things that interest them and people like them. Knowing your prospective audience will enable you to choose topics that are appealing. Here are some excellent places to train your ear. Reddit describes itself as the front page of the internet. Visiting Reddit groups will enable you to find great topics that are relevant to your niche. You will be able to find numerous topics on Twitter Search. You will quickly be able to gauge the popularity of the topic, too, as well as any recent trends. This tool enables you to find popular questions across thousands of online forums. It is perfect for generating content ideas by researching customer questions. You will be able to create content based on questions that most customers ask. SEMRush is a powerful resource for content creators and digital marketers. When it comes to topic research, it doesn’t let us down. This tool will enable you to gain valuable insights about your customer. The tool will enable you to find popular content for virtually any topic. Sit back and take in valuable data regarding top-performing content for the subjects you are interested in, including social shares, organic search traffic, and referring domains. Counter-intuitively, most businesses tend to neglect customers. They lack a deep understanding of what the customer wants. Understanding your customer, however, as we have explored, is key to achieving your business goals. Fortunately, in addition to asking questions and listening to your customers, many tools can be used to collect customer insight. Businesses should be aware of common search queries that are used by customers to search for different products and services. Search queries can range from broad to specific. Pay attention to the queries used. If the search query is specific, it is more likely that the customer is talking about your product or service. If the search query is broad, the conversation is likely to be about the industry in which your business operates. You can use different tools to collect common search queries used by customers. The following tools will make the collection of search queries more efficient. It’s also worth noting that the result of one tool can be calibrated with another, making them more effective according to your needs. Whichever tools you are using, remember that you are creating value for your customers. When you create content that gives value to your customer, you will be able to build a long-lasting relationship. Google Search Suggest can be used to uncover the common search queries of potential customers. Generate ideas by looking at related searches when searching for information. If you like your information delivered visually, you’ll like Answer the Public. It’s easy to use and will provide great insights about what your customers want to read re: your chosen subject area. It will give you plenty of questions related to your topic, which you can then turn into focused, relevant content. Much like Answer the Public this keyword tool enables you to create content based on common search queries used by customers. 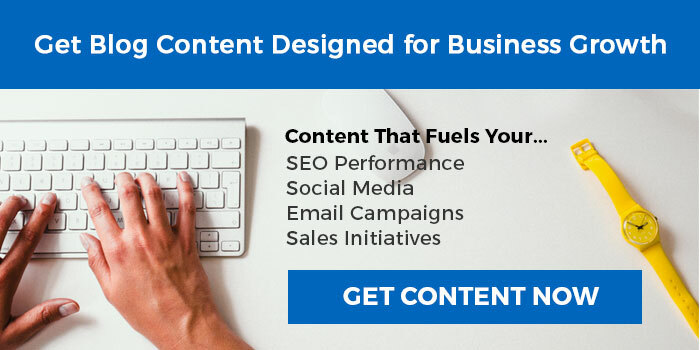 With Neil Patel’s tool, you can turn your ideas into content that your customers will love. Think you’ve exhausted your subject? Think again. 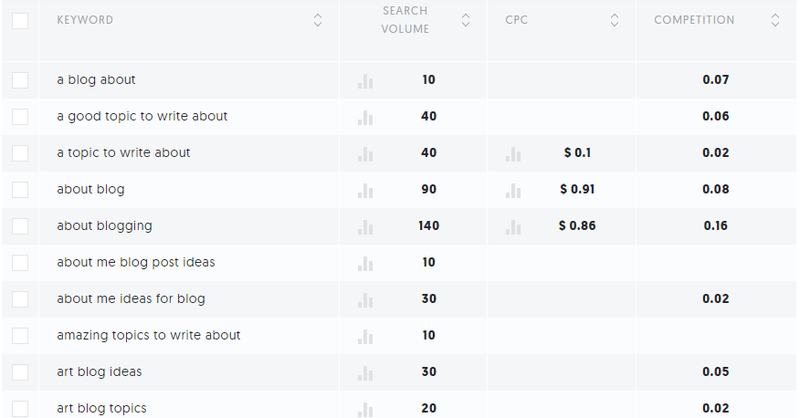 This tool enables you to find long tail keywords. It will help you broaden your approach while staying on target with your customers’ interests and needs. This tool will help you develop your ideas and create content based on keywords. The keywords it delivers are based on the common recurring themes withing related content. If you need more blog topic ideas, or you prefer a more direct approach, you can choose to conduct a customer survey. The great thing about a survey is that it will enable you to ask key questions to customers to determine what they are looking for. Tools like Typeform will help in conducting a survey with current customers. It will help you uncover additional questions they may have. Answering these questions will help customers get something of value. It is easy to tell your story in a compelling way when you can align it with your customer and his or her needs. Good storytelling will capture the attention of the customer and this will significantly improve conversions. When you create content after listening to your customers, you will be able to provide much more useful resources. Creating actionable content is not so tough if you know what your customers’ needs are. Time spent thinking about topics and titles is not wasted time. Far from it. An excellent choice of blog topic will drive people towards your site. A bad choice of topic will drive your audience away. Good content can give a serious boost to your business looking to improve conversions, so take care when choosing a topic for your content, and use all the tools at your disposal to ensure your content is aiming at the right target.